Starting with a good pace we paused after noticing our first big elevation gain. "We've covered quite a bit of distance already" we said, still within view of the valley. To be fair, I had no idea where we were going. Mike- who had been here before -took the lead and Ed checked every smell and sound along the way. Marmots beware, Ed is intrigued. I didn't realize this would be such a long and difficult hike, so every time Mike said something looked familiar I quietly hoped it was the end of the trail. But it was never-ending. Beautiful- but never-ending. We crossed over rocky ridges into the next valley, overlooking the tourquoise lakes in the basin. We watched as thunderous clouds swept over the neighbouring valleys, sprinkling just a bit of water our way. We passed the lakes, climbed the Martian landscape, and reached the top (again) of the final ridge. Down the mountain we went, spotting caves, animals, and incoming weather. As the sky turned dark the droplets turned to drops, changing from sprinkles to sprouts. 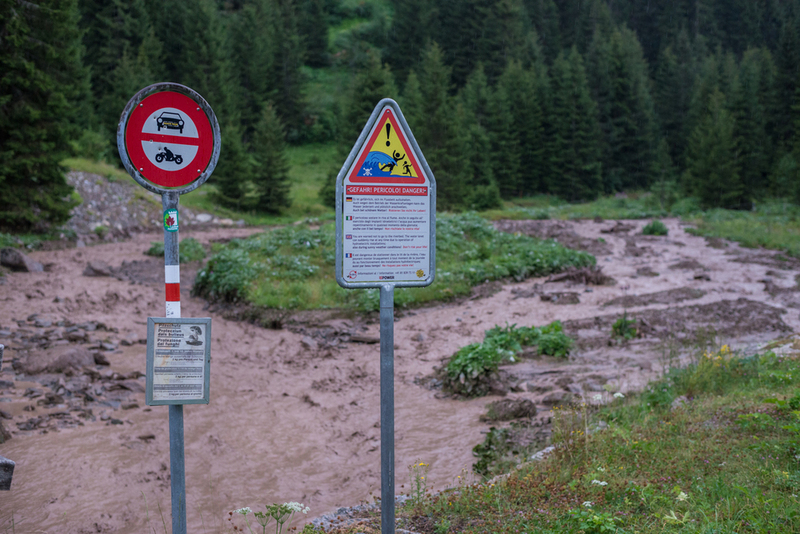 We arrived at the car drenched and tired, and drove back down through Davos where a flash flood had spiced up the scenery. It was an unexpected adventure, but a good one nonetheless.